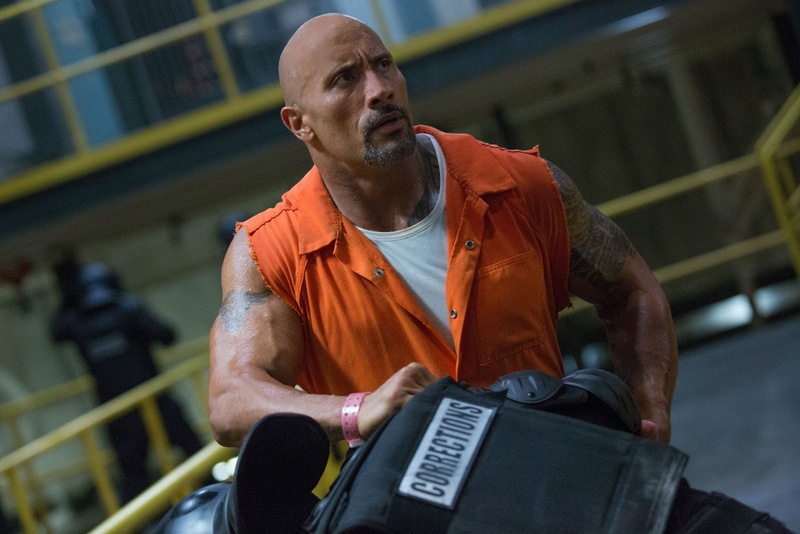 What breathed life back into the Fast and Furious franchise was the inclusion of Dwayne Johnson. The franchise wasn't doing so well, but by bringing on the Rock and switching the focus of the series from car racing to being larger-than-life blockbusters, Fast Five became the series' resurgence. I still contend Fast Five is the best one they've done so far, though Furious 7 does come close. The last installment, The Fate of the Furious, was somewhat underwhelming. It wasn't a bad movie, but I didn't find it to be quite as good as some of the previous movies. And with Straight Outta Compton director F. Gary Gray at the helm, I was hoping for the best. You can read our review here. But during the production of The Fate of the Furious, tensions between Johnson and the series' star and producer Vin Diesel came to light. While no true specifics surfaced, we learned that the two were not getting along at all, causing a massive rift within the franchise. For a while it seemed like this was a publicity stunt to promote the movie, as The Fate of the Furious featured Diesel's character going against the team, led by Johnson. 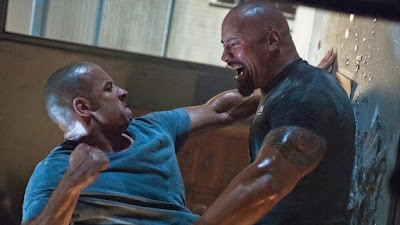 However, in a recent interview for his new film Rampage, Johnson talked about the tensions with Vin Diesel, and how it's up in the air as to whether or not he'll return for Fast and Furious 9. "Vin and I had a few discussions, including an important face-to-face in my trailer. And what I came to realize is that we have a fundamental difference in philosophies on how we approach moviemaking and collaborating. It took me some time, but I'm grateful for that clarity. Whether we work together or not." "Right now I'm concentrating on making the [Fast and Furious' Hobbs and Shaw] spinoff as good as it can be. I wish [Diesel] all the best and I harbor no ill will there, just because of the clarity we have. Actually, you can erase that last part about 'no ill will'. We'll just keep it with the clarity." Johnson also said in the interview that he didn't film any scenes with Vin Diesel for The Fate of the Furious. 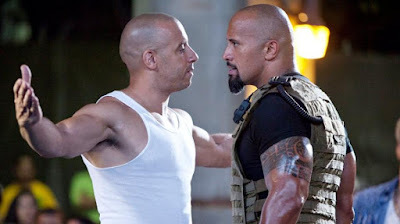 Even scenes where the characters appear together, they were shot on separate days so that Johnson and Diesel didn't have to be on set together. The fact alone that they couldn't even be on set together for the last installment is a clear indicator that there isn't a bright future ahead for the both of them with this franchise. The series cannot continue on with its two main leads never appearing together side-by-side. You can get away with that for one movie, but that isn't sustainable for two, three, four more movies, or however many more they decide to make. Personally, I like Dwayne Johnson in these movies more than Vin Diesel. He is what jump started this franchise, and I think Fast and Furious will suffer severely (both creatively and at the box office) if Johnson were to depart. From an objective point of view, it makes more sense to keep Johnson and oust Diesel. However, Diesel is a producer on the series and Johnson is not. This means that Diesel isn't going anywhere, and Johnson's fate is primarily in Diesel's hands. Sure, Diesel isn't the only producer. He doesn't have full 100% control of the franchise. But with Diesel being a producer, we know he isn't going anywhere. So either they find a way to work together, the filmmakers find creative ways to shoot them separately for the same movie, or Johnson leaves the franchise. Hopefully cooler heads will prevail. We don't know the full extent of Diesel and Johnson's feud, so for all we know there is absolutely no way it can be rectified. Assuming it isn't something to that degree, hopefully Johnson and Diesel will look at this from a business perspective. Neither of them want to leave the franchise, and it's for the best of the series that they both remain on and work together. Maybe they can come to some sort of agreement to get through the next couple movies before ending the franchise. That seems like a long shot, but considering how much money can be made with these movies, it's not entirely illogical. Or maybe Johnson puts all of his energy into his spin-off film with Jason Statham and continues the legacy of his character that way. If the spin-off is a smash hit, then Johnson will realize he doesn't need the rest of the Fast and Furious crew to make these movies: he can do it all by himself. Look, I hope this gets figured out so that they don't have to break up a good thing. However, I'm not blind to the issues going on, and there's a strong chance something will give. Since Diesel is producing the series, Johnson will probably be the one to leave the franchise. I just hope his spin-off movie is successful enough to keep him afloat in this series. We'll have to wait and see how everything turns out. What do you think? What are your thoughts on Dwayne Johnson's comments? 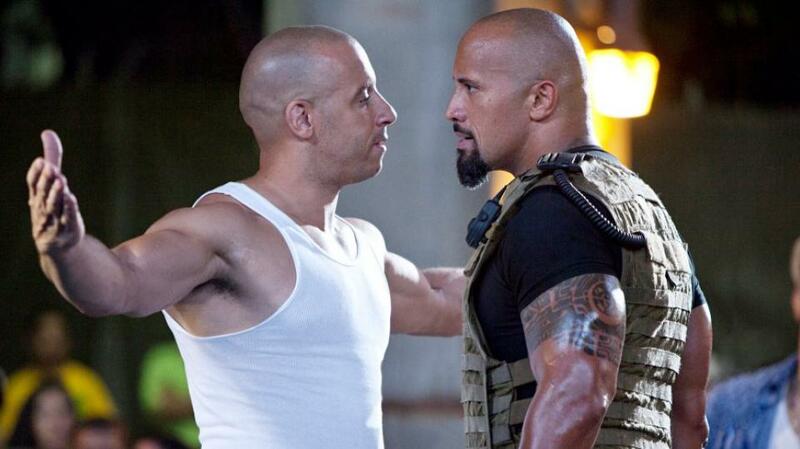 Who would you rather see leave the Fast and Furious franchise? Who do you think will end up being ousted? Leave your thoughts in the comments section below.